So many questions like how do I make money online? Is it possible to make cool money online? If so what are the possible and proven ways to earn passive income on the internet were being asked by many people. I am tired of repeating the same answer to many people, so I decided to write something about what I do to make money online and how to make money online without paying anything which I will make sure I explain in details. There are so many easy ways one can make money online, either by blogging, online marketing, creative writing, freelancing, helping others, buying and selling which is also known as e-commerce. When I was 20, I had the opportunity to read so many articles online and publication about online opportunities, but the problem then was there was no one to put me through.. Google is my friend and so it is to everybody, I searched for the possible ways till I was able to crack the code. This article is based on my 7 years experience as a blogger, web developer, digital marketer, and freelancer. I will be sharing with you what I have learned so far and I wouldn’t want you to be like that man that said my dad is so rich so I don’t need to work because if he dies, I will inherit him. So if you don’t want to be like him, don’t get tired of reading to the end. Have compiled over 10 ways of making cool money online and how to get started on each of them. Even if you are lazy to the point that you find it hard to eat, you will also learn the lazy ways. So follow the captain as he lawfully commands the ship. 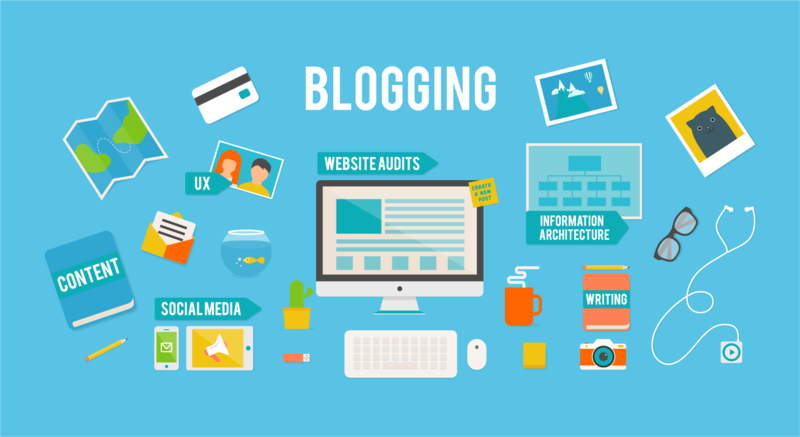 A blogger is someone that contributes to a blog, in another word, a blogger is someone that blogs or write on a certain issue. Entertainment is a niche, music, videos, movies, comedy all falls under the entertainment niche. If I were you, I will pick a niche that knows so much about which will make it so easier for me. For example, I love football and I can easily write reviews and reports on football matches, am sure you understand my point… OK if you do, let’s move on and if you don’t, feel free to ask questions using the comment box below this post. That should be ok for now on blogging, would make a full detailed post on the various aspect of blogging and how you can start a blog. Just make sure you subscribe here so you won’t miss the post once it is published. Am sure you wouldn’t want to miss the post when it’s posted, I will make a full guide post on various ways to monetize your blog once you create one. Freelancing is the act of selling your services to employers. That skills you have is a service you can render to people and get paid for it. You can sell anything as a freelancer (a freelancer is someone that sells his/her services without a contract, and get paid in a short term). The first time I read about freelancing, all I saw was writer, graphics designer and web developer but the good news is freelancing job is not limited to three services mentioned above, whether you are a singer, songwriter, game addict, herbalist (don’t be surprised that I mentioned herbalist, I will talk about that later on my upcoming blog post on freelancing, if you subscribe you won’t miss it at all) and other services you can easily get done and receive your money sharply.. I know some of you reading this are already blaming yourselves for lacking skills and not versed on any of the services I mentioned. Don’t panic as you can also work as a freelancer, but based on your smartness (I call it lazy freelancing). Where do you sell that skills of yours to earn cool cash this year? There are various freelancing websites, the most popular of them are Fiverr, Freelancer and Upwork (formerly known as Elance). There are over 1 million jobs posted every 24 hours on freelancing site and you will agree with me that freelancing is a good opportunity to make money on the internet. Stay tuned for my next post as I will emphasize more on freelancing. Social media marketing is another opportunity to earn yourself cool cash online. If you are love internet as much as I do, then you shouldn’t be missing out on the big opportunities you tend to gain from social media marketing. Social media websites like Facebook, Twitter, LinkedIn, Reddit, Pinterest and much more can turn you into your own boss. Facebook, for example, isn’t just to make friends or to post your beautiful pictures, Facebook can expose your business and services to millions of its users. Each of these social media websites has various tools to boost your products and services online presence. Social media is also a means of driving traffic to your blog if you are a blogger. You can also help businesses and firms to boost their presence with your social media knowledge. There are various articles online to learn about social media marketing but not to worry, I will write on it very soon, just make sure you subscribe so you won’t miss any of my future posts. Affiliate Marketing is one of the best ways to make money with less stress. This is a way of helping other people to sell their products and services and earn commission on every product purchased through you. You would be given a specific link for promotion, once any sales are made through your link, you will earn some percentage set on the products or services. Good examples are Amazon Affiliates and Clickbank, these websites have been around for years, you can consider checking them out. This is a good opportunity if you ask me, as you don’t even need a dime to start making money as an affiliate marketer but if want to make it more advanced, you can get yourself a domain name and hosting. This is similar to blogging but in this case, you will be posting products with your affiliate link. Affiliate marketing is not limited to Amazon and Clickbank only, it is applicable to every niche. Dating sites like match, plenty of fish, e-harmony, and mate1 also have affiliates marketing option. Most hosting websites and e-commerce sites offer affiliate marketing. You just need to do your research and choose the niche that you think you can perform very well. I mentioned earlier that you can sell your services online, not only services, you can as well sell any goods be it used or unwanted stuff online to earn cash. You have a sneaker that is old fashioned and it has turned to trash in your house, the good news is the unwanted sneakers can fetch you cool cash if you placed it for sale online. Someone will definitely fell in love with that stuff that you don’t want again. You can place your stuff on an auction site like eBay which is the most popular auction site and still growing. Classified sites like Craiglist, olx, Jiji, are good platforms to post your products and unwanted goods. Classified sites also give you the opportunity to post your services. If you decide to delve into the e-commerce world, you can consider purchasing a host and domain to display your stuff and sell to potential buyers. Are you the type that wears shoes, bags, clothes just once or twice and abandons them, then you need to start making money with them. Writing and selling e-books online is another sure way to earn passive income online. Do you have the passion for writing and you can slay with your prose? This is a very good opportunity to tap into, you just need to write about something you know people are hungry for. Let me help you a little, I know many people are looking for easy ways to make money on the internet, with that in mind, I can write an e-book on the possible ways of making money with your phone. Once done, I just need to do the marketing aspect by placing the e-book for sale online. Amazon Kindle and Apple’s Itunes Connect are good ways to start selling your books. What you really need are just two things, enough time and proper marketing. Money is not that essential here since you will be writing yourself and this will need time. So turn your writing prowess to money making opportunity. You can move a step further by turning your e-book to an audiobook through Audible ACX platform. The audiobook can be sold on Amazon too, this is another chance of earning extra bucks. Building email list to market your product is a sure way to promote your brand and earn cash in return. To be successful in email marketing, you need to build an email list first, there are various ways to do this but the best approach is collecting emails from readers on your website. You just need to setup a landing page and embed a subscription form to collect readers email. Any reader that opt-in is definitely interested in your content and will always follow any emails that come from you. If you don’t have time to collect emails yourself, you can purchase email list related to your niche but this is not advisable. Whichever you choose, Just make sure you get the right audience to promote your products/services to. This is a good opportunity for photographers to start making money with their creative ability. Shutterstock and istockphoto are the most popular and biggest photo resources online, you just need little effort to start right away by posting your photo to make money. What you need is creativity and persistence to succeed in selling photos online. Once you are able to license your images and posted on the stock photos site, just sit down and collect your payments. Do you even know you can cater for your daily needs by just giving answers to people questions? Yes, it is possible if you are a professional in a field and you have quite a number of experience in the field. Websites like JustAnswer and LivePerson gives you the opportunity to provide answers to people’s questions in exchange for money. Head straight to the website mentioned above if you have the technical ability and professionalism to solve other people’s problems by answering their questions. This can earn you some extra bucks online by completing an online survey. If you are in the US, Europe, Canada and UK, you have the great chance to earn from paid surgery compared to an African because most survey sites are not available in African countries. Cashcrate is a good example of a paid survey site where companies look for users to test their new products and pay you for that. Are you a student? Or a housewife sitting home all day, you can earn extra bucks by taking online surveys.